Ever asked yourself why are the Spanish so… ? Ask Google “why are the Spanish so …?”, then pause and wait for the search engine to come up with some ideas. An interesting list of possible queries pop up in your search box. In this blog post, I take a look at the 4 options that came up for my search and ask if it’s true that the Spanish are so …? 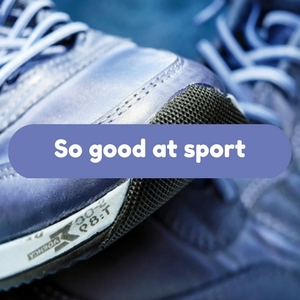 Why are the Spanish so … good at sport? I must admit that this one was a surprise. OK, I know Spain has a pretty good sporting record, but I didn’t think this would be Google’s first option. There are obviously a lot of people out there asking themselves this one. Are the Spanish so good at sport? Spain certainly boasts some great sports teams. 2 of the world’s best football teams, Barça and Real Madrid, for a start plus a handful of others in the league who rank up with the top teams. And although the 2 best players, Ronaldo and Messi, aren’t Spanish, a lot of good players are. Despite an extraordinary track record, the national football team hasn’t done anything fab for a bit, but apparently they’re warming up nicely for next year’s World Cup. So, a big tick for football. Another one for basketball – Spain’s national team always wins top prizes. That’s men and women. Ditto for water polo. The same goes for individual sports – motorcycling seems pretty much dominated by Spanish riders. Tennis has a good sprinkling of top players from Spain and the women’s badminton world champion comes from Huelva in Andalusia. But are the Spanish generally good at sport? Difficult to answer that one. They seem to play a lot of it – Malaga seafront promenade is always one long stream of runners, cyclists and skaters. Local children play on the football pitches in my park at the time and sports classes are taken seriously at school. Yet at the same time the dedicated joggers are pounding the seafront, many more people are sunning themselves on the beach. Most Spaniards do very little exercise and the country has one of the highest child obesity rates in Europe. So, yes Google, the Spanish might be good at sport, but they’re obviously not doing enough of it. 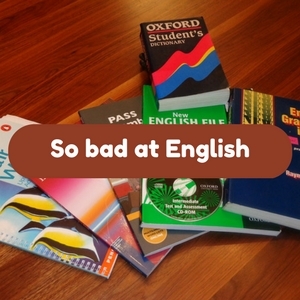 Why are the Spanish so … bad at English? I wasn’t surprised about this one. Only a few days earlier, a friend and I had discussed this. I know lots of parents who regularly ask themselves this too so maybe they all asked Google afterwards. Are the Spanish bad at English? This is an easy one: yes. Despite a national obsession with English classes and getting Trinity and Cambridge certificates plus an endless queue of students for language academies in Spain, most Spaniards have little more than a rudimentary knowledge of English. And then there’s the accent, often so thick it’s hard to tell that they’re actually speaking English. Language teaching in schools may be the culprit. In my experience, it ranges from average to poor. I’ve yet to meet an English teacher who is Spanish and has a good accent. And all this despite the opportunities to watch films and series in English on TV, and all those videos in English on social media. And in Malaga and on the Costa del Sol, all those English people to practise it with. So, yes, Google, the Spanish are bad at English. But then again, the French don’t exactly excel at English either. And how many British people speak a foreign language beyond badly? 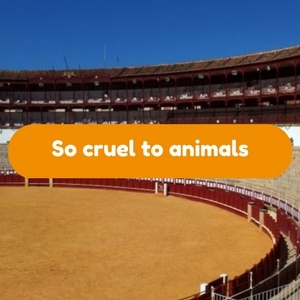 Why are the Spanish so… cruel to animals? Another surprise. Not because I think the Spanish aren’t cruel to animals, but because it seems unlikely that so many people would be looking for an answer to this. But they obviously are. Are the Spanish cruel to animals? Traditionally and perhaps culturally, yes. Spain is after all the heartland of just about any form of bull torture – whether it’s fighting them in a ring, planting flaming torches on their horns or piercing them with lances, Spain does cruelty to bulls big time. This is also a country that until recently threw live goats from church towers and stoned animals trapped in ceramic pots. It’s still common to see chained-up dogs, emaciated donkeys and horses, and abandoned livestock in many parts of rural Spain. However, over the last few years, Spain has noticeably sat up and taken stock of all this cruelty. Several high-profile destinations have banned bullfighting – Barcelona is one example – and Marbella recently decided not to hold any more, ostensibly because of lack of spectators but probably because of lack of support. Several judges have passed maximum sentences against convicted mistreatment of animals and the associated court cases now get a high profile on national television and in the press. Spaniards generally love pets, especially dogs and an increasing number of parks have dog-only areas. Malaga is about to celebrate its first Dog Party with all proceeds going to animal charities in the city. So, yes, Google, the Spanish can be cruel to animals but they can also be very kind. I suspect this question won’t be coming up at the top of the list in a few years’ time. 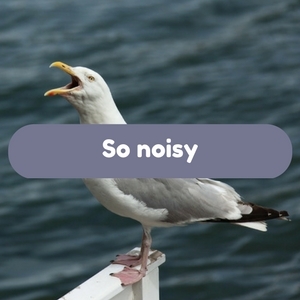 Why are the Spanish so … noisy? I have to shout at the person next to me in a bar so that they can hear me over the other customers, TV, coffee grinder and fruit machine. Several sirens go off in the (very) wee hours of the morning. Ditto the rubbish collection cart and the glass recycling. I’m trying to listen to a talk or conference and almost everyone around me is talking, and not so sotto voce. I got this idea from a blog post I read when I was researching the best blogs about France in English for French Waterways. In the original post (on France This Way), they’d played around with lots of nationalities and wrote down the different answers. In case you’re wondering, Google thinks you want the answer to “Why are the French so skinny?” Check out your nationality and then ponder the answer.